**Soon to be a major film starring Game of Thrones' Sophie Turner - Girl Who Fell From the Sky**On December 24th 1971, the teenage Juliane boarded the packed flight in Peru to meet her father for Christmas. She and her mother fought to get some of the last seats available and felt thankful to have made the flight. The LANSA airplane flew into a heavy thunderstorm and went down in dense Amazon jungle hundreds of miles from civilization. 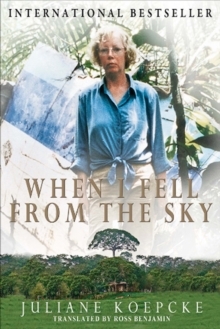 She fell two miles from the sky, still strapped to her plane seat, into the jungle. She was the sole survivor among the 92 passengers, which included her mother. Juliane's unexplainable survival has been called a modern-day miracle. With incredible courage, instinct and ingenuity, she crawled and walked alone for 11 days in the green hell of the Amazon. 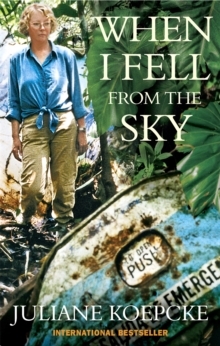 She survived using the skills she'd learned in assisting her parents on their research trips into the jungle before coming across a loggers hut, and, with it, safety. Now she tells her fascinating story for the first time and shares not only the private moments of her survival and rescue but her inspiring life in the wake of the disaster.